The recent spate of events surrounding our senior government officials the police force and the Prime Minister embroiled in the controversy that has left the world and neighboring Pacific countries watching the events unfold. 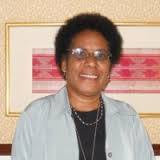 A woman leader and leading political researcher, Dr Orovu Sepoe, has spoken up, urging all involved to perform their functions without fear or favor according to the constitution of Papua New Guinea. “Many changes by the Government in the police hierarchy for the last 5 years have led to uncertainty and lack of respect for the force by ordinary citizens however the Prime Minister, senior public officials and all involved must allow and apply the rule of law to gain the trust and confidence of all citizens,” said Dr Orovu Sepoe. While the world and neighbouring pacific countries watches closely the events unfold, the countries, Government, Justice System, Police force, and Trade Unions credibility is left being questioned which begs the question of democracy and the right to freedom.